With nearly 200 sessions specifically for nonprofits, over 3,000 sessions total and about 170,000 attendees, Dreamforce 2018 will certainly be an engaging event. It can be overwhelming to figure out how to make the most of it, but the good news is, there is plenty going on, so even if you miss the mark on a couple of your selections or find you really need a nap halfway through day 2, you’ll still get your money’s worth. That said, we do have a couple tips for making the most of it. We noticed something that mirrors our own experience with clients: last year analytics and online marketing were a huge emphasis, with a lot of new announcements about Einstein, Marketing Cloud and other marketing tools. While there are still great sessions about those things, there is a greater range of sessions on nonprofit functional areas. You can find sessions on volunteer management, call and service center, program analytics and more. This is what we’ve seen in the sector too: amazing organizations rolling up their sleeves and coming up with smart ways to use Salesforce to improve their work across their organizations. Analytics and automation are not just promising buzzwords, but practical tools being used to get the work done. What’s better than that? Below is a list of the sessions that caught our eyes. We hope you have a great time and we hope to see you there! Where is Salesforce is headed for NGOs? Even though we encourage you to get into the nitty gritty with specific use cases, the big picture is still important: What is Salesforce planning for NGOs in the coming year? Not just from a product perspective, but from an overall strategy as well? What do they see as important enough to focus on, invest money in, to provide value to their customers? These keynotes should indicate how they plan to serve nonprofits. To be a changemaker in today’s world, you need to lead with impact. So what does it mean to be an “impact-first nonprofit”? Across the social sector, we’re experiencing an impact revolution fueled by increased demand and global movements for social change. Nonprofits are learning to harness data and intelligence to tell their impact story in personal, powerful ways. Join changemakers like Habitat for Humanity and American Cancer Society to see the latest Nonprofit Cloud innovations in actions and kick off Dreamforce with our community of nonprofit trailblazers! Want to know what kind of product innovations you can expect in nonprofit technology from Salesforce.org this year? Join the Nonprofit Cloud Technology & Product team as they walk you through what’s in store across fundraising, program management, and engagement. Learn about the latest features, and functionality and hear our pros explain our exciting roadmap across all of our solution lines. The best sessions often focus on a specific example that may not seem to be directly transferable to your organization. We encourage you to be open to them anyway. The beauty of the Salesforce platform is the ability to make modifications that suit your needs. Seeing the specifics of how an organization is tackling one part of its work can be quite inspirational for your own. Plus, it gives you a chance to ask people in the field questions about what it took to implement, and it’s always useful to get straight answers on that. Below are some of the sessions that intrigue us the most. For many nonprofits, volunteers are crucial to the success of their programs, fundraising efforts, and advocacy. It’s not just about the tasks, communications, and events – the entire relationship that makes an impact can be at stake. Join us to learn best practices, hear product recommendations, and tips and tricks on how the right combination of strategy, processes, and technology can help you manage your volunteers to move your mission forward. Speakers from AARP, Encircle: LGBTQ+ Family & Youth Resource Center and Salesforce.org. Why we like it: We’ve had opportunities to build out some complex and super cool volunteer management tools this past year. However, because volunteer programs can vary widely from org to org, it’s great to get a sense of where yours may land on the complexity scale. When clients call you for help, you need to make sure you’re delivering the experience that they need. Come hear how two organizations, 211 San Diego and the Trevor Project, track incoming calls, understand the needs of their clients, and help individuals with every interaction, from intake to care. Learn about innovative technology and creative implementations that are allowing crisis and service centers like these help their constituents thrive. Why we like it: What’s not to love about organizations improving their capacity to serve people in need? Idea Forum: What if…your cause sparks a movement? More people want to get involved in causes today than ever before. With the increase in citizen philanthropists we’ve seen moments turn into movements overnight. How do organizations and individuals use technology to scale up and build a sustained movement? How can movements handle the responsibility of mobilizing eager new philanthropists to advance their mission? In this session hear from two 100+year old organizations on how they are using technology to push their mission forward; plus hear from the bestselling author of Purposeful on turning your mission into a movement that creates change. Why we like it: EVP and Chief Experience Officer of Planned Parenthood, CEO of the Anti-Defamation League, Head of Groups & Community at Facebook, and a Public Relations executive in conversation about the very real challenges of today’s engagement demands. What an opportunity. Are you looking to develop a strong recurring donor strategy, but don’t know where to start? Mobile Loaves & Fishes and The Miracle Foundation will share what they have built and learned about inspiring one-time donors to become recurring donors. They’ll highlight important recurring giving trends and focus on how to make sure your recurring giving strategy is the right fit for your organization. Why we like it: Because all this great work still requires $. Recurring gifts can bring surprising data challenges – we love a good success story. We built an app that champions equality at Salesforce. As engineers that help build the Salesforce Platform every day, we created a way to promote our core value of equality using this technology to empower our Ohana (employee resource) Groups. Join us to learn how we built a Salesforce app to solve tracking and management problems with only a few hours of work and iterative development. We’ll share our journey of how we identified the issues, developed, adopted, and iteratively improved solutions from user feedback. You’ll leave this session feeling inspired to think about new ways to use the platform to bring values like equality to life for your organization. Why we like it: Diversity, Inclusion and Equity are matters that face all of us, every single day. We’ve found the Salesforce Trailhead Cultivate Equality at Work to be helpful in informing our own thinking about ensuring we never become complacent at Heller. This session will offer helpful insight into how Salesforce does the work. It’s never been more critical for nonprofits to be able to reach their constituents on the channels that they know and prefer. In order to achieve this level of digital engagement, nonprofits need to know what to do with the data that they have. In this session you’ll hear from two well-known nonprofits who are transforming their organizations to be constituent-centered, omni-channel engagement machines. Why we like it: We just really love the lighting in Tower Salon A. Just kidding. That part about needing to know what to do with the data you have? We could not agree more. How do we take a data-driven approach to prevent homelessness, provide temporary shelter for youth and families in crisis, and help people return to permanent housing quickly to restore their foundation for healthy lives? Tomiquia Moss, CEO of Hamilton Families, and Sherilyn Adams, Executive Director of Larkin Street Youth Services, will share how their systems approach creates a replicable model for other organizations working to strengthen the social safety net and make collective impact. Why we like it: We’ve had the pleasure of working with Larkin Street since before Salesforce was a glimmer in the nonprofit eye. They do amazing work and keep pushing the bar in service delivery. Every organization, every mission, and their constituent base vary to a certain degree, as does the methodology in working towards achieving their vision and goals. Hear how trailblazers, Make-A-Wish and Wolverine Human Services have customized Nonprofit Cloud to best serve their Unique Missions and Unique Humans. Why we like it: Shout out to another of our long-term clients. Make-A-Wish does an outstanding job of thinking strategically about its work and keeping the focus on its mission. Anything they have to share is worth a listen. 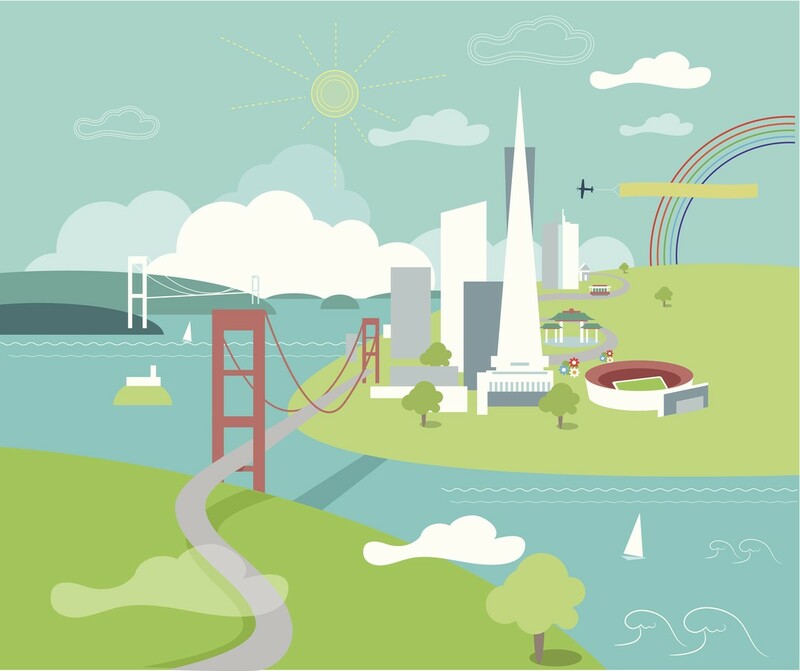 Whatever you do, we hope you enjoy your time at Dreamforce and come away with a sense of possibility and excitement. You do important work. When the event is over, take the weekend to rest up because we can’t wait to see what your organization does next. What sessions are you most interested in? Leave them in the comments below, and we may see you there! © 2019 Heller Consulting. All Rights Reserved.